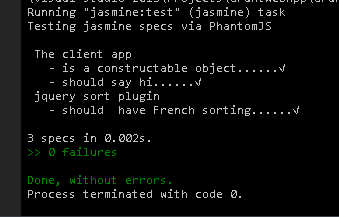 Now that we have Jasmine and grunt working, lets create a JQuery plugin so that we can test Jasmine with JQuery. In order to do so we need to use bower. 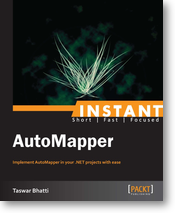 If you need a tutorial on bower you can look at my old post. 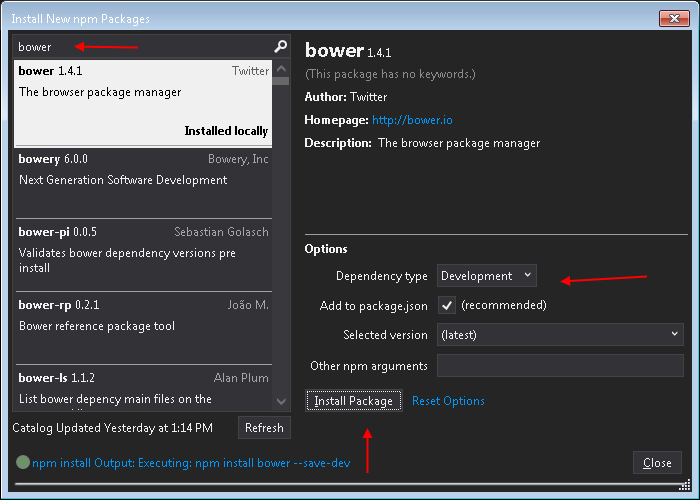 Let’s now use bower to install jquery, jasmine-jquery plugin and we will save it to our dev environment. 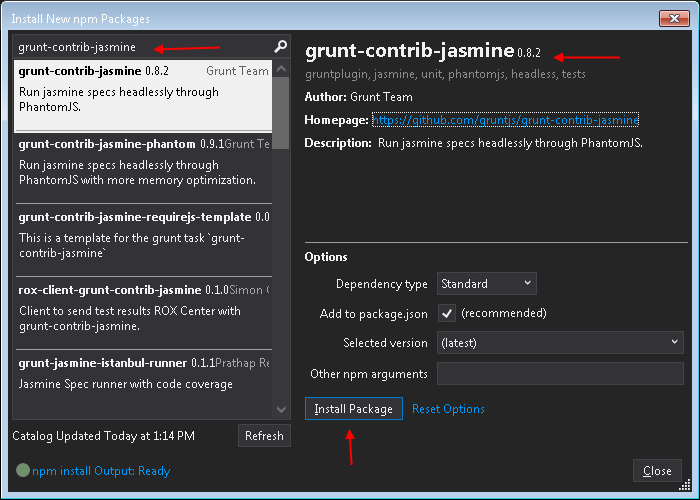 We also need to let our Gruntfile to know about our “vendor” jasmine and jquery plugin, in order to run the task. The result of our jasmine test would show. So this concludes our Grunt series, we have gone through the journey of using Grunt with Visual Studio, here were all the topics that were covered. Hope you enjoyed it.